Sometimes you just meet the right people at the right time at the right place. So did I end of 2008 at a good bye party of a SVP @ eBay. I met a person who was just about to get involved in venture capital. As I studied economics, with a major in finance and investment instruments, the VC world is like a magnet to me. I’m so interested on what basis some of the companies a VC firm decides to invest in are valued. What determines the value of a company which just is starting to grow, or has not even launched yet? 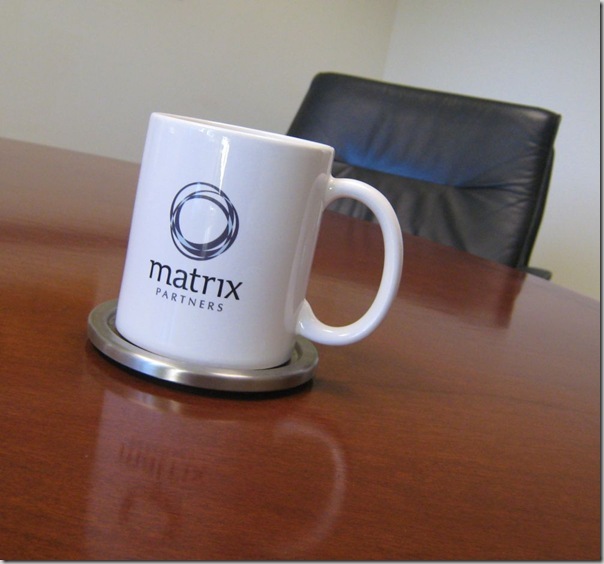 Over the course of the months, I managed to stay in contact, and today I had a coffee meeting at the office of Matrix Partners. A technology venture capital firm located at Sand Hill Road in Menlo Park. More VC firms are located on Sand Hill Road, which can be called the epicenter of Tech VC in Silicon Valley.